Is a mini World Cup every two years on the way? 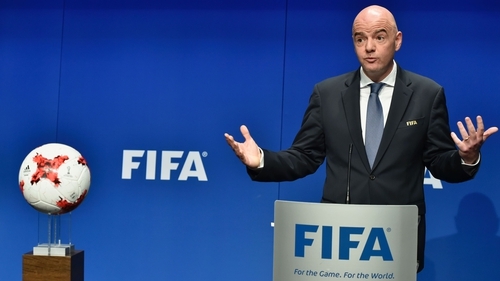 FIFA president Gianni Infantino has proposed staging what would effectively be a mini-World Cup, featuring eight international teams, every two years in addition to the traditional competition. The tournament, known as the "Final 8", would be the climax of a global Nations League competition, which is part of an ambitious plan to reform international football which FIFA believes could be worth €20 billion in a 12-year cycle. In a letter seen by the media Infantino said an unidentified group of investors had proposed spending €20 billion to secure the rights to the tournament, which would take place every October and/or November of every odd year starting from 2021. The Confederations Cup, currently staged every four years in a year before the World Cup, would be abolished. Last year FIFA voted to expand the World Cup to 48 teams from 2026 onwards.